2017 NFL Season Preview—AFC East: Another Season, Another Division Title For The New England Patriots? The New England Patriots have won the AFC East division title for the last eight seasons and 14 of the last 16. The last time the division was competitive was in 2009. The Patriots finished the season 10-6; the New York Jets were 9-7 (they split the season series; Patriots owned tiebreaker). Since then, the Patriots have won the division by anywhere from three to six games. Will this be the year someone else finally wins? Will someone emerge from under New England’s shadow and take over the AFC East? Or will the 2017 season be just another notch in the belt for the Patriots? To tank or not to tank. That is the question. They can deny it all they want, but if the Jets are not tanking, they sure aren’t trying very hard to win either. After dumping so much talent in the offseason, they can’t honestly expect anyone to believe that they are looking to be competitive this season. In a way, it is not hard to see why they would do so. When it comes to making the playoffs, the best bet is to win the division. Otherwise, teams must compete against every other team in the conference for one of two spots. But the New England Patriots have owned the division for the better part of two decades. Chances are good they will continue to do so until Tom Brady– and maybe even Bill Belichick — retire. So, why not start building for the future now by seeing what the youngsters on the team can do? The running game (powered by Matt Forte and Bilal Powell) will keep them from getting embarrassed every week. If whoever ends up playing quarterback can establish a relationship rookie wide receivers ArDarius Stewart and Chad Hansen as well as tight end Jordan Leggett, they might even win a few games. But anything beyond a few wins will be a miracle for the Jets this season. They haven’t made the playoffs in 17 years—and they probably will not make it this year either. New head coach Sean McDermott may make the team a little more competitive this season, but they didn’t do nearly enough in the offseason to improve. Last season they were the top running team in the NFL thanks to LeSean McCoy, Tyrod Taylor, and Mike Gillislee. But they let Gillislee walk and only recently added Taiwan Jones after the Raiders let him go. They will still run the ball, but they are going to find it much harder to do so. Last season, the Bills were one of the worst passing teams in the NFL (No. 30). They did nothing in the offseason to make it any better. Robert Woods and Marquise Goodwin (last season’s No. 1 and No. 3 receivers) left town. Sammy Watkins is still in town, but there is no telling how many games he’ll actually play in. 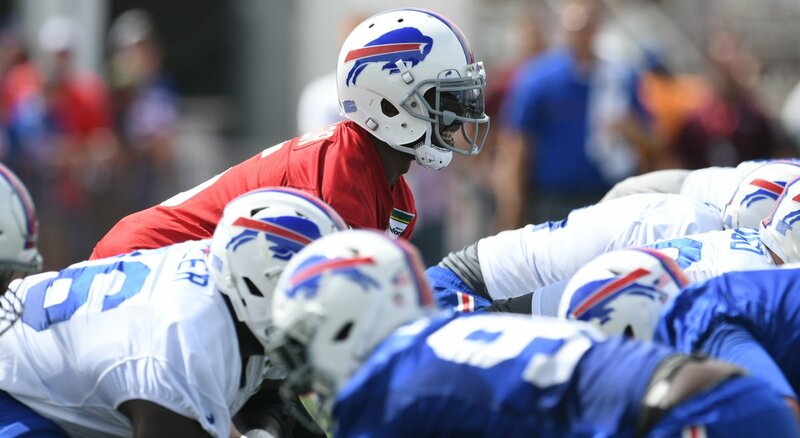 Rookie Zay Jones will help, but it is unfair to expect a rookie to carry the passing game. The defense will need to be better than the 19th ranked unit in yards allowed (like it has been for the last two seasons) if the Bills are going to have a chance. But since the offense will probably struggle a lot this season, they are going to be on the field a lot—which will make improvement hard to come by. They have more talent than the Jets and should do better overall, but as far as being competitive goes—not a chance. 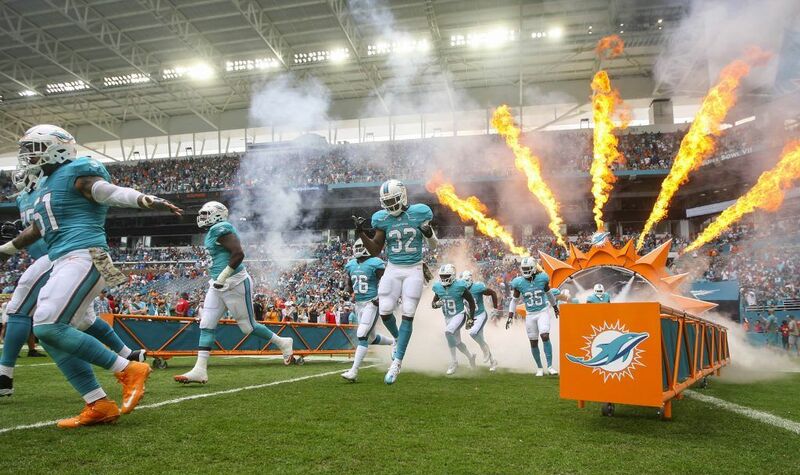 The Dolphins made their long-awaited return to the playoffs last season after going 10-6 and winning a wild card spot. They hadn’t been able to make it in since they won the division back in 2008. Can they make it back? What success they have will be because of the passing game, but they will need people to step up. DeVante Parker was a first-round pick but has yet to play like one. He needs to start doing so and take some of the pressure off of Jarvis Landry to produce. On paper, they appeared to have a decent running game last season. But their per game average got a huge boost from Jay Ajayi’s three 200+ yard games. He had eight where he ran for less than 60 yards. When fantasy leagues start drafting, he will likely become the most overvalued player in every league. For now, the season hinges on the knee of quarterback Ryan Tannehill. Should he be healthy enough to play, the team can probably count on having another decent (but not great) year. Their best hope may be if he has surgery and they talk Jay Cutler out of retirement for one season. Cutler did his best work in 2015 when Dolphins head coach Adam Gase was the offensive coordinator in Chicago. His receivers that season were not nearly as good as what he’d have in Miami. 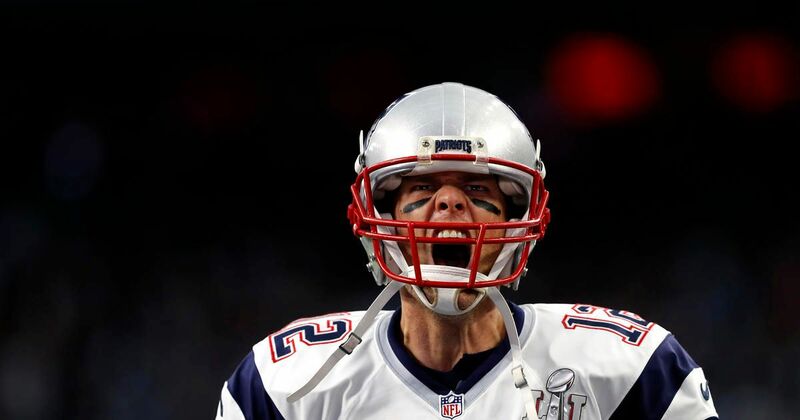 After going 14-2 during the regular season, the Patriots needed Tom Brady to engineer an incredible comeback to win the Super Bowl. So—what do they do for an encore? They load up the offense with even more talent by trading for wide receiver Brandin Cooks and tight end Dwayne Allen, claimed Devin Street off of waivers, and signed Rex Burkhead from Cincinnati and Mike Gillislee from Buffalo. Yes, they lost LeGarrette Blount, but when you consider who they added—who cares? Their No. 8 defense got stronger as well with the addition of cornerback Stephon Gillmore (free agency) and defensive lineman Kony Ealy (trade with Carolina). New England– by a landslide. No one did enough to become competitive with them let alone become good enough to beat them.